Stream anything to any device over a home network "catch-all" thread. I'm hoping to start a thread that provides recommendations on the best apps/devices/platforms to use to stream media from a central server to various devices/platforms across a home network. What media server apps can you recommend that I could run on the iMac to stream/transcode photos, videos, movies, and music to any of these other devices...? I gave up on all of this and just ran a 50 ft HDMI cable to the TV to play XBMC on. Done and working without too much issue. I need a streaming work around; running a 50ft HDMI cable is non viable. are you adding repeaters on each end of the 50ft HDMI cable? If so, which ones? I've seen some that run up to $200 USD, which only adds insult to injury. No repeaters or extenders needed. Although when you go to long lengths, quality of the cable becomes more important. I had problems with a 25 ft cable off of Amazon, where another one worked just fine. I got mine from Monoprice. This is my main concern, even with good cables, anything beyond 50ft would is doomed to fail, regardless of the cable quality. Or so I read when I did my due diligence. The moment I set eyes on Ouya, I knew that I wanted it primarily to serve as a setup box of sorts (install XMBC or a version of Plex) and give my PS3 some much needed rest. Sure, I'd play games on the thing, but I wanted an androidbased setupbox. For the same price ($99.00), there is now an alternative that really interests me: Utilite. Here' a review by Ars technica. Have you considered just having a gaming laptop that you move around? What I would like to do is stream my desktop, including sound, to my PS3. I haven't had any luck so far. The RDP protocol will give you sound so if you can run a linux distro on your PS3 you can then use SSH to connect to your windows box and run RDP over SSH. At least that's how I connect to my home machine when I'm on travel (RDP over SSH). You will need to run ssh on your desktop, I use bitvise (and their client). oh sure; take the rational easy way!! mostly, I want to avoid the second PC until Steam allows for multiple logins from the same LAN. After that, I'll be happy to build a second PC with Steam's Big Picture right into the living room. I have VLC and PS3 Media Server installed, but couldn't get the two to get along. So I'm proposing this thread to explore the Plex platform now that Chromecast integration has been added. I'm proposing to use this thread rather than starting a new one. We might want to update the title so as to avoid some confusion. Streaming through Plex has been quite easy and I really enjoy the metadata aggregation. I've updated the PlexPass app on both my phone (Sony Z1) and tablet (Nexus 7 running Paranoid Android). I'm still at the office, but tonight I'll try mirroring the app to Chromecast. Should the quality hold, I can finally give my PS3 a rest, which has been my DLNA box for the last few years. I really enjoy PMS (Plex Media Server) over PS3 media Server. While both platforms support subtitles (big issue for me), the overall look and feel of Plex (Server+Client) make me a loyal fan. Unless SteamOS adds media streaming with similar functionality and the current level of polish Plex has, I can't imagine abandoning Plex any time soon. a. you need to be a PlexPass Subscriber. I joined for a lifetime membership once Chromecast was announced. I've fallen in love with Plex as both the Client and the Server have matured. I can't recommend it enough. b. You need to update to the latest server version. I believe most (if not all) features first tested for PlexPass subscribers eventually come to the main platform. PlexPass is mostly "early access" for users who enjoy testing the new features. Most features are released once they're very stable. Besides Chromecast, PlexPass users also have access to Cloud Sync which allows for any client to stream files from Dropbox (and other online locker) and not only files within your LAN. Yes, I'm a really big fan of Plex. So do you need a dedicated server for Plex or can I just run it from my existing desktop? I have a spare machine but it's not beefy and is currently running as a minecraft server. Could they be run together? It doesn't get much traffic. I guess my question is what is system reqs for the server? I'll look it up later but these are questions I have in my head right now. I just run it off of my main machine. It's pretty low-resource. Here is the download page if you just want to get to it. That I did and with a monthly sub I'm watching Django Unchained on my dumb TV using Chromecast. Hmm... I may not be doing something right... Computer says Plex is fine and hosting. PS3 says no media servers found. Check your Plex Media Manager's Settings and make sure the DLNA server is enabled. Checked and triple checked. I also created and logged into a myPlex account, after which I was informed that the server had successfully snagged a port. Which... I just tried to confirm and now it's telling me that there was a problem getting a port for the server. I am so impressed with the Playstaion integration of Plex! It's just like any other DLNA integration but it generates all the sorting folders for you. If you want to watch a kids movie just go to the age appropriate folder. If you want to see what movies you started, go to the On Deck folder, What have you got in your collection that is a romantic comedy? Oh there it is! I see Meg Ryan being all cute in there. I'll give it a try anyway as I like fooling around with tech. It can't connect to mine, either. I also checked up on my DLNA access to Plex, and while the Library sections are there, there's not much in the way of content. Not essential to me since I can run the client on my Roku, but still, very strange. It's really strange. I poked a few things. Basically didn't change anything, and suddenly it popped up. Then yesterday morning it was gone again. I went into the UI on the computer, poked a few things, and suddenly it popped up. Doesn't inspire confidence. I'll need to get Plex on my Roku to test if it's flaky there too. Wow! Plex Server even runs on NAS boxes? Going to try it tonight on my Netgear ReadyNAS. there's a dedicated thread on the plex forums. I'm still using my main PC until I build a dedicated box to go the way of the NAS. 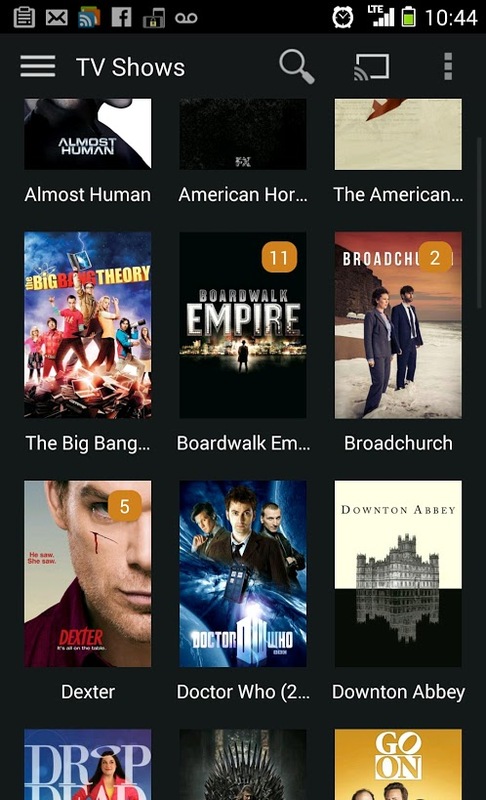 I've tried using the Netflix, Hulu, Amazon Prime and HBO Go agents for Plex. So far it's been hit and miss. Sometimes they work, most often they don't. I can setup a VPN on my PC to get the PMS to believe it's in the US and some services will provide locked content. Amazon has become particularly good at spotting VPN connections and will deny the service almost every time. These channels are not official and the interface is wonky at best. I enjoy the PS3 UI for Netflix, haven't been able to experience the other services. When I finally buy a PS4, I'll hook up the PS3 to a dedicated VPN'ed router and use my PS3 as a media box (even more so than before). Someone has thought of a workaround for integrating Plex into SteamOS. pretty straight forward; run a Linux based player as a 3rd party app from Steam. Wow, just installed the Plex server on my Synology NAS. Pretty cool. I was wondering whats the best way to access my stuff from outside the house? Do the clients allow you to put in an address with a port or is it all done through the PLEX account system? The synology apps are pretty good themselves but the video streamer client on the Roku can't read files with multiple audio streams but the PLEX app plays them no problem. Plex Pass gives early access to new features. Most if not all features are eventually released to the general population. I got a lifetime membership, so I don't know if off-LAN streaming is available to everyone, but Plex Pass members have had it for a few months now. As long as my server is up and running, I can stream any content from anywhere. The quality is great, but I mostly download in 480p until I get a bigger HDD. Once you forward the default port (32400) and the Plex site "sees" your server, you can stream directly from the app. I've shared my server with my brother and he can see my content from his server. He's not a Plex Pass member and he can stream anything I publish (maybe channels and Queue are not available, not sure). OK, it looks like I may not need to be a paid subscriber. I was having a ton of trouble logging via IP address:port outside of the LAN. I then remoted into a LAN computer and logged into the server OK. From there I went into settings and logged into "MyPlex" with my user name. Now when I try to access it from the outside it works fine. Strange but I guess they are just trying to make sure that everyone who uses it registers with them.